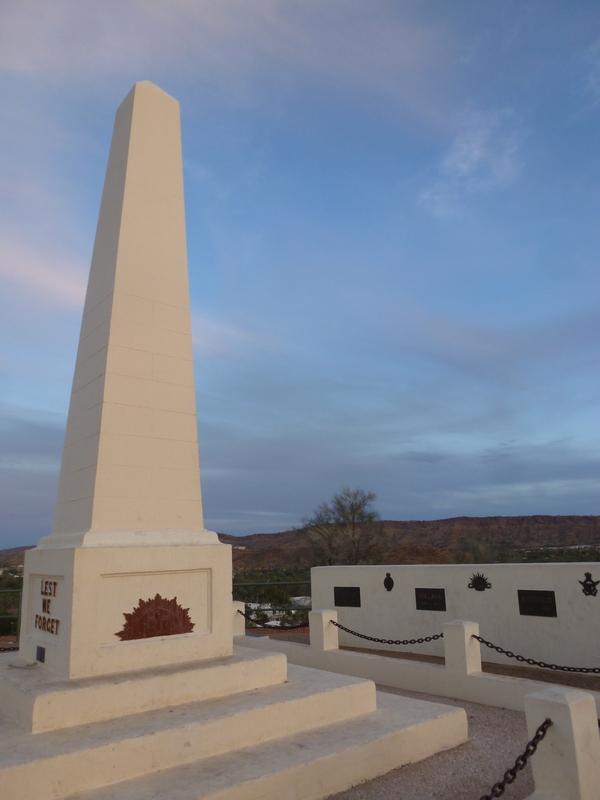 I took an early flight to Alice Springs, and it felt like I’d hopped back in time to Jordan. The landscape was extremely hot, dry and flat. The climate was actually a pleasant surprise since I’d acclimatised to hot temperatures by now. I’ll be honest – before arriving in Alice, I was a little nervous about personal safety. 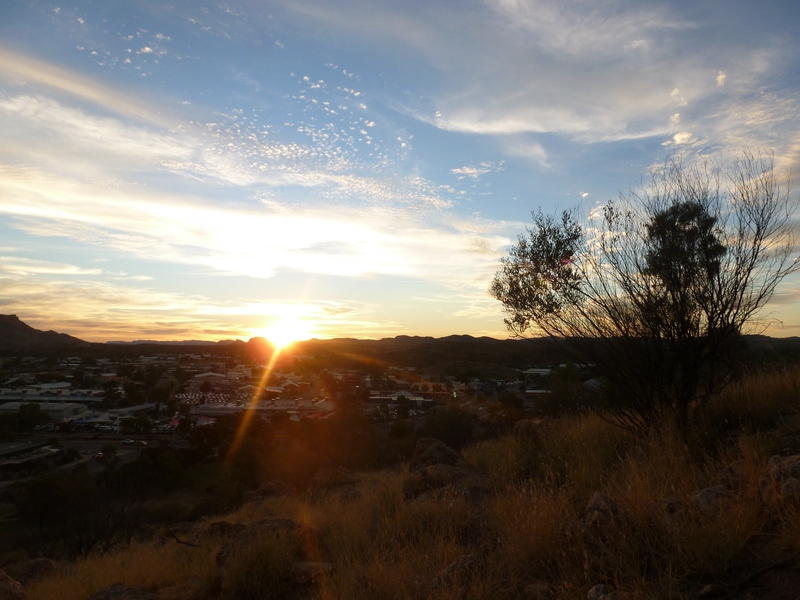 I’d read reports of backpacker attacks and stabbings, and been told not to wander around after dark. The police roadside breath testing did nothing to allay these fears. 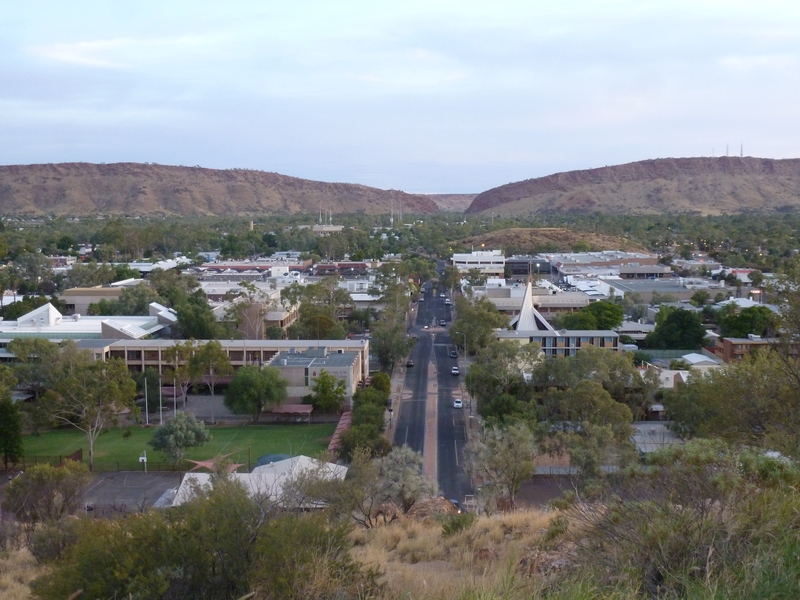 However, as long as you’re sensible, Alice Springs is no worse than many other towns on the tourist trail. It’s worth noting that there are places – including within Sydney – that require equal levels of wariness, but have not acquired the same reputation… which in some ways is more dangerous, since your guard is down. 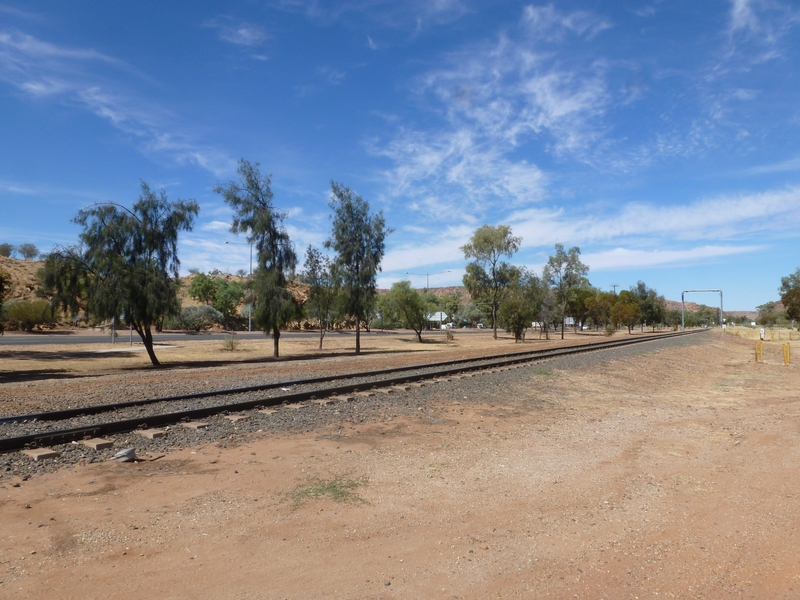 The town centre was a short walk from my hostel, and I passed the famous Ghan railway en route. 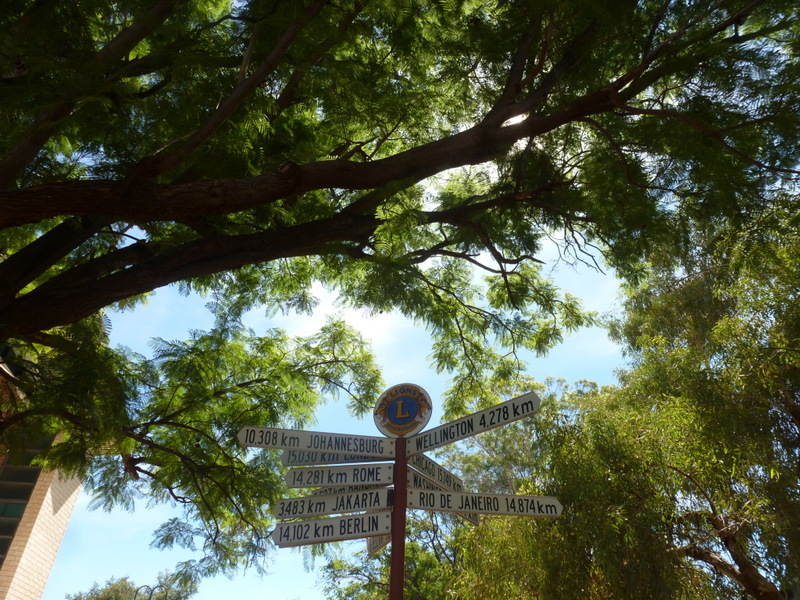 I really liked this banner in the town centre of Alice Springs. 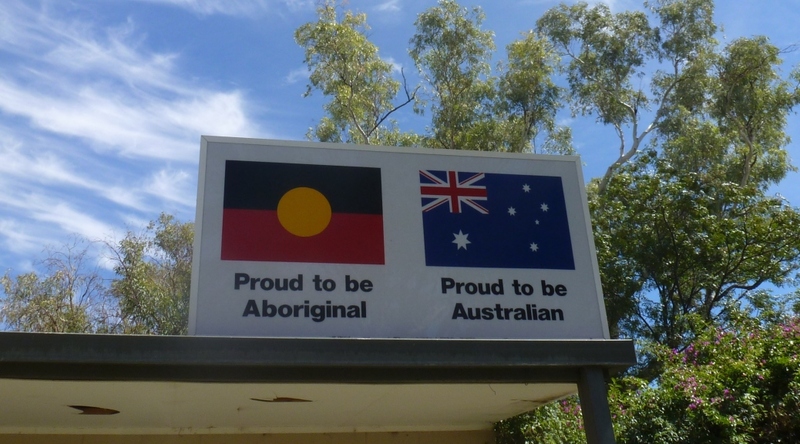 It should be noted at this point that I took no photos of Aboriginal people for my blog. This was not due to some kind of ‘whitewashing‘ on my part, but out of respect for their culture’s sensitivity to images – in particular, images of deceased people. 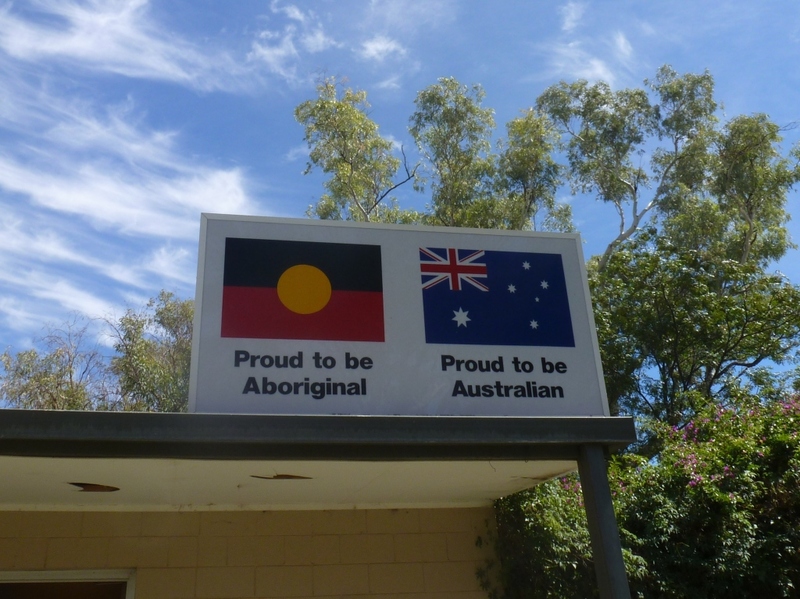 However, Aboriginal people had a huge presence in Alice. It was a pretty unique experience to walk down the street and to hear their language being spoken around me. The town itself was quite compact, and full of heritage buildings. 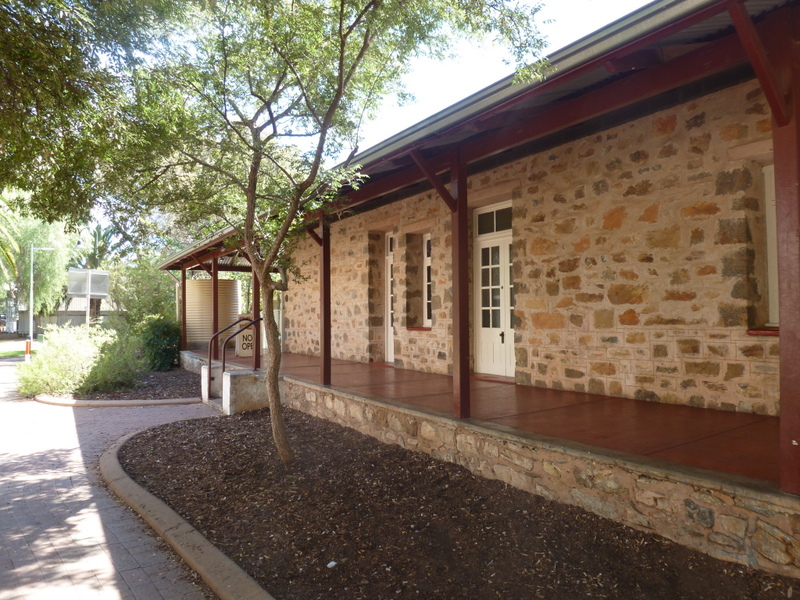 Adelaide House was the first hospital in Central Australia. 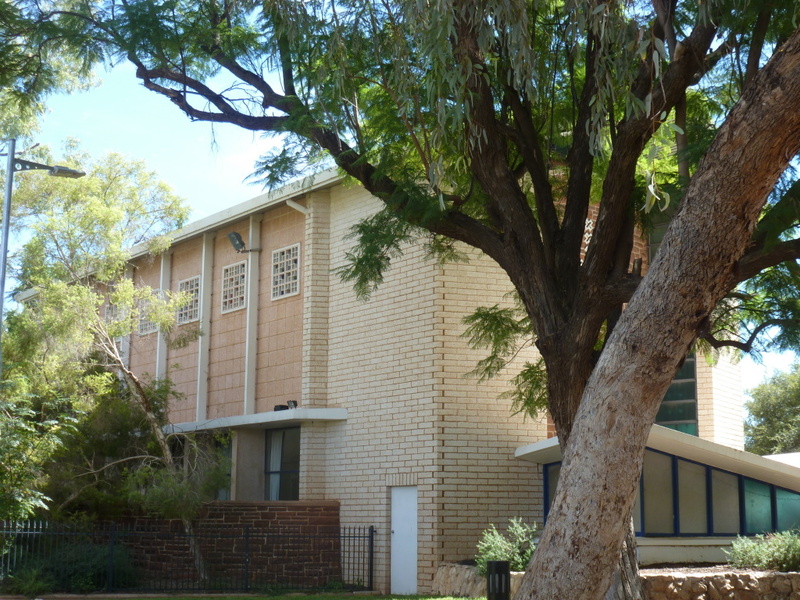 The Flynn Memorial Church was built in memory of John Flynn’s achievements for the people of the Outback. 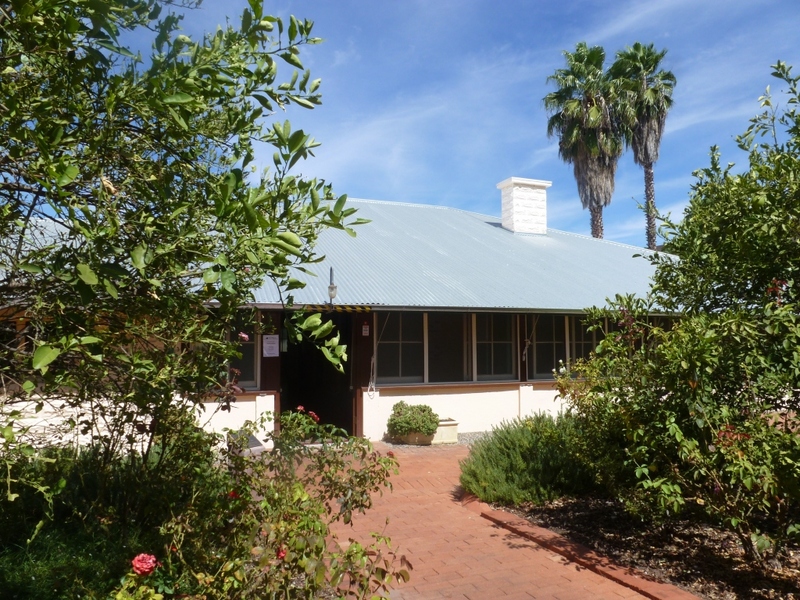 The Residency was built for the first Government Resident in 1927. 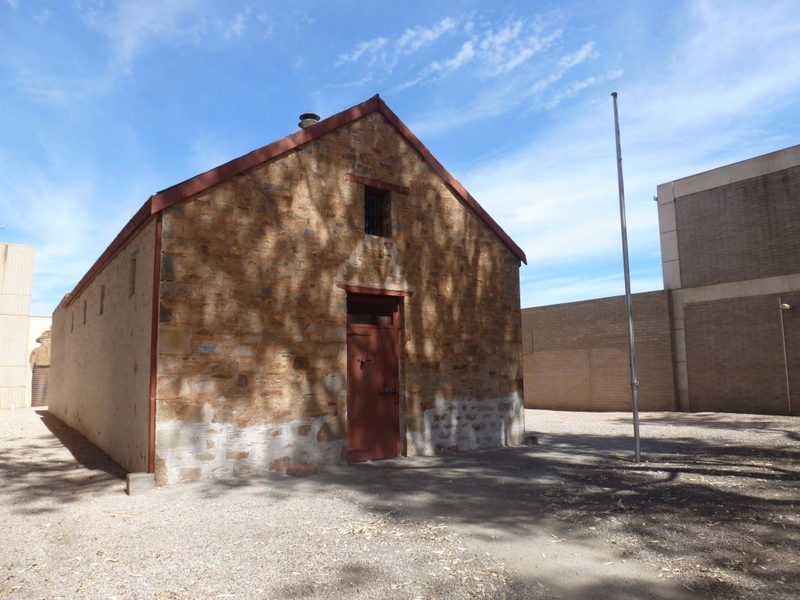 Old Stuart Town Gaol is the oldest building in Alice (built 1908). 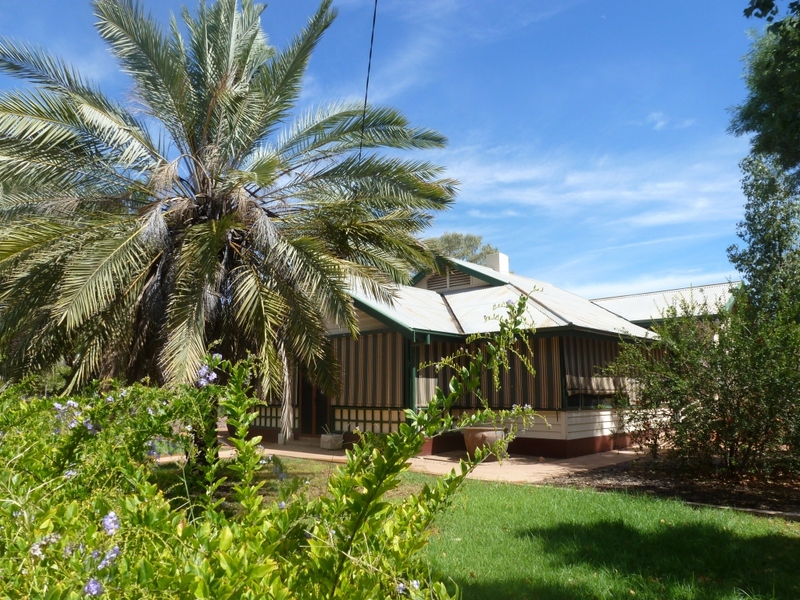 There were also some historical residential homes.